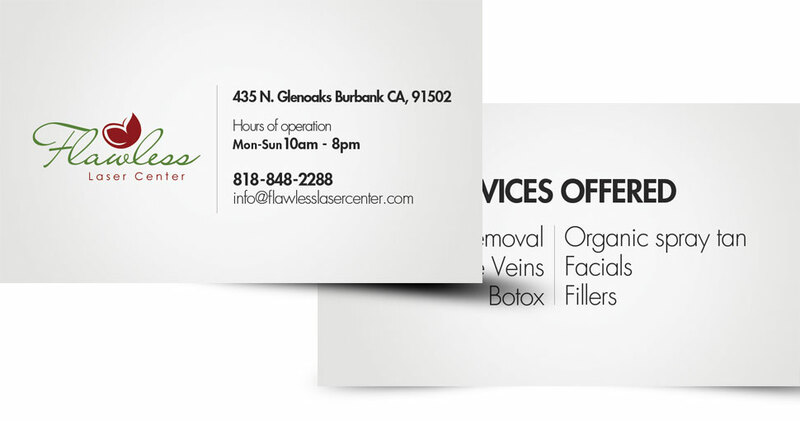 Flawless Laser Center is a new hair removal clinic in Burbank, CA. They contacted us in need of branding solutions. 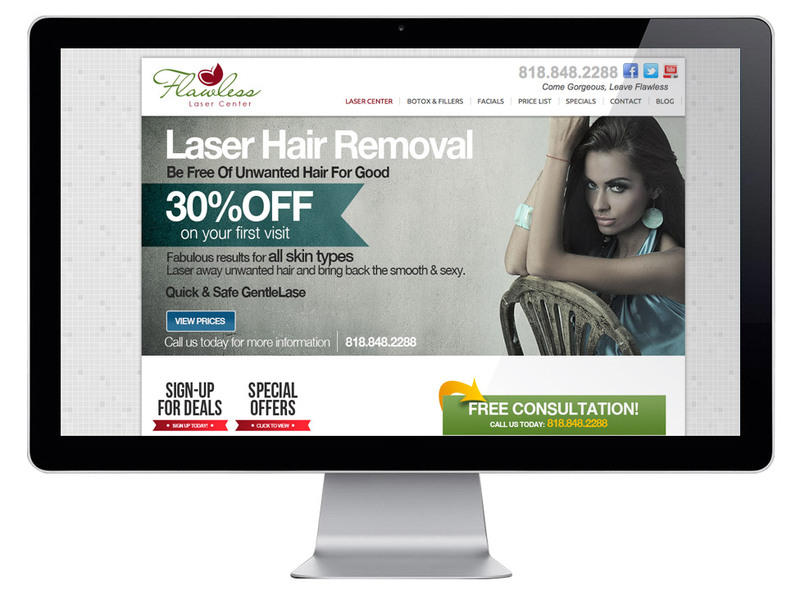 The company was looking for designs that were simple and elegant. After they chose a logo from our comps, we took that "simple" and “elegant” idea and branded their website and all other business materials.